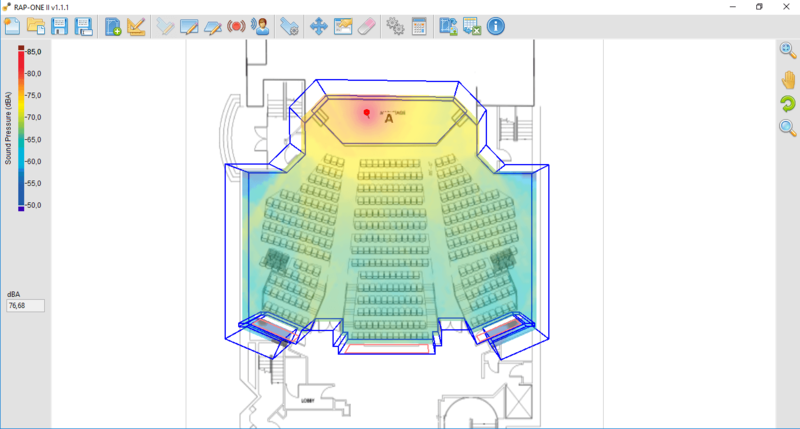 RAP-ONE II is an innovative and easy-to-use software that can analyze and manage sound in any room type. It has been designed to meet the needs of acoustic consultants, engineers and industrial hygienists. 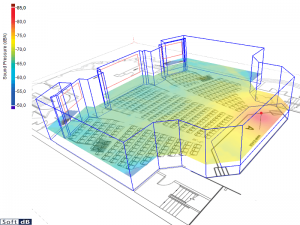 RAP-ONE quickly and precisely determines sound levels at every location in a room and the contribution of each sound source to these locations. Often, noise reduction treatments are applied and do not produce the expected results. With RAP-ONE II, these problems are avoided because it allows you to know in real time the effectiveness of treatment or a combination of treatments, and this, before their implementation. What will be the increase in noise levels if I add another machine? What impact will this new machine have on noise levels perceived by workers? What will be the noise reduction if a silencer is installed on a vacuum cleaner or if an acoustic treatment is done on the ceiling? How can I be sure that my sound reduction approach is structured? The evaluation of the performance of various possible treatments is easy: simply apply the acoustic treatments being considered for the room using the Absorbing Panel and Barrier tools and then click on the Calculate button. The room’s new noise map will present the noise levels obtained with the addition of treatments. 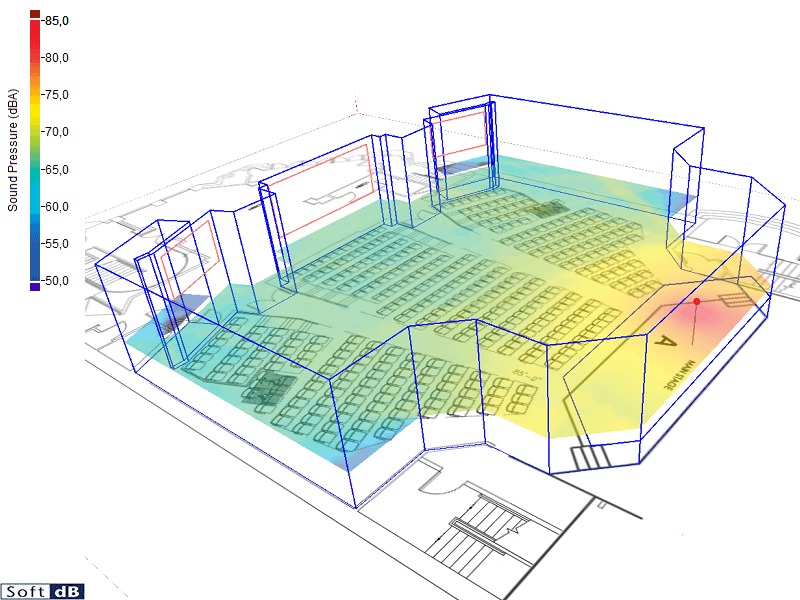 The same treatment approach can be applied to the noise sources of the room (e.g. adding a silencer). 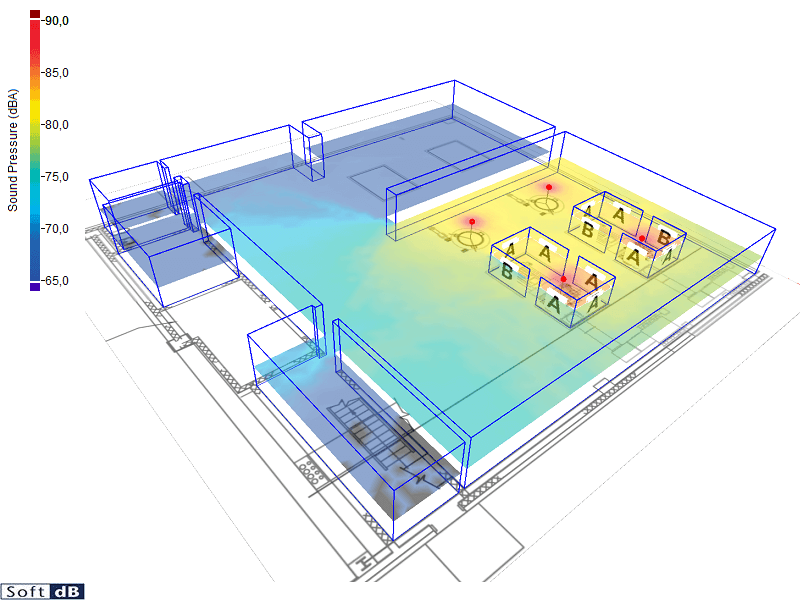 RAP-ONE II can be used to control the level of background noise of a room by identifying the treatments to be applied to plumbing, heating, ventilation and mechanical and electrical systems.